Pam Theuer, our Coordinator of Teaching & Learning, presented at the Middletown Area Chamber of Commerce’s Education Summit on April 4. Edgewood was one of three districts who presented at the Summit. The other two districts included Middletown and Monroe. 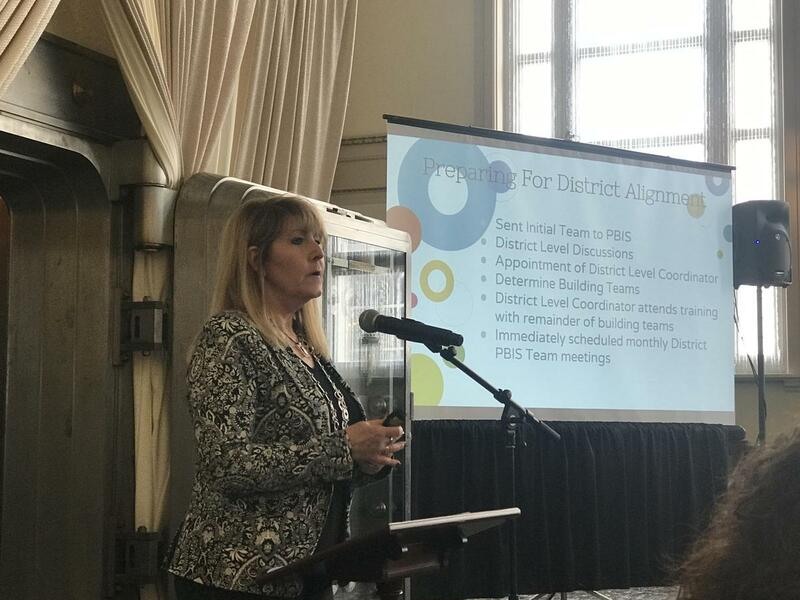 During Pam's presentation, she provided an overview of how we launch our district-wide PBIS initiative which directly supports of our strategic plan. She also highlighted the results we have experienced since launching this initiative. In addition, Pam shared several exciting opportunities offered at Edgewood for our students as well as recapping the efforts our district has been taking to improve communications with our families, staff, and our community. It was an honor to be included in this event and to share our exciting news with area community leaders, Chamber of Commerce members, and educators!